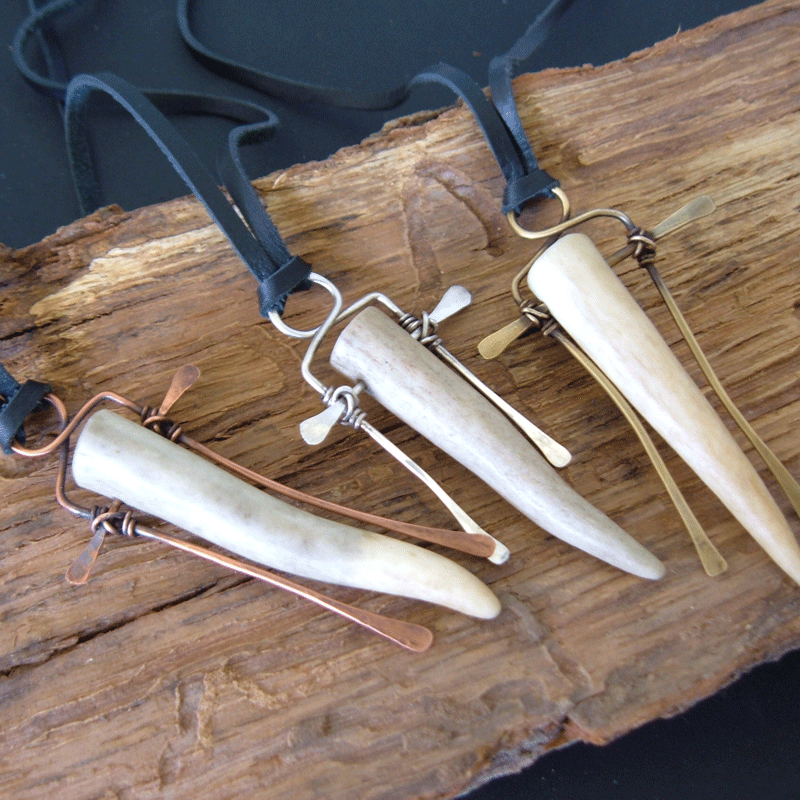 Each deer antler hangs from a forged frame made of sterling silver, copper, or brass. The metal is work hardened then given a patina for a vintage look. These are real, naturally shed deer antlers used in the making of the necklace. You pick your favorite metal frame. 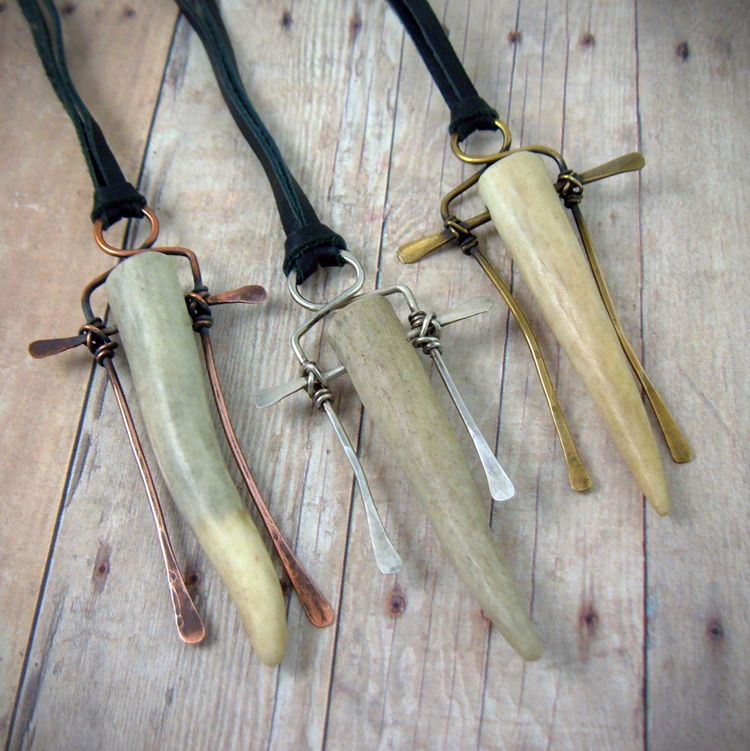 Each pendant hangs from an adjustable black leather lace necklace with matching bead slide. Additional orders available to ship within a few days or request.